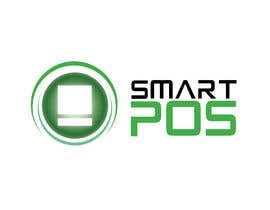 The Smart POS is a website for our Point of Sale application, It's a cloud based application, this logo will be used for point of sale and employee attendance management. I want special unique logo specially prepared for the website. Explain the reason of the logo and why it's created like that. Font should be beautiful and using the green colors.